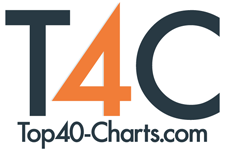 New York, NY (Top40 Charts) The dockable Universe Dashboard keeps tools at users' fingertips, making it simple to explore and apply Universe's entire library of effects and presets. Users can now save effects as favorites and easily find recently used effects and transitions - a top request from Universe users. In Adobe Premiere Pro and After Effects, the dockable Universe Dashboard keeps tools at users' fingertips, making it simple to explore and apply Universe's entire library of effects and presets. Users can now save effects as favorites and easily find recently used effects and transitions - a top request from Universe users. A modified version of the Dashboard is also available for other applications outside of Adobe Creative Cloud, and is a convenient and easy way to explore the effects and presets in the Universe library. Type Cast: Easily animate text properties like color, opacity, size, position and rotation - by the word or character. Get started with Type Cast. Type On: Quickly create computer terminal-style type reveals. Includes tons of options for customization and randomization. Get started with Type On. Screen Text: Fill your screen with scrolling code to create the look of an old-school or modern computer terminal. Get started with Screen Text. Hacker Text: Easily create computer hacker-style scrambled text animations. Simulate encrypting or decrypting text with many options for randomization and look. Get started with Hacker Text. Text Tile: Generate multiple columns full of random data for use in motion graphics and computer terminal effects. Displayed information can be static or animated. Get started with Text Tile. In Red Giant Universe 3.0, every tool comes with presets that can be explored via the new Dashboard. In addition, there is now a "Save Preset" button for every Universe effect that lets users save presets to the Dashboard (Adobe Creative Cloud apps) or the preset browser (non-Adobe Creative Cloud apps), depending on which application is being used. Installation is easy. Download the Universe installer from the Red Giant site (here) and run the installer application. Once installation completes, if you are a current Universe user, you are ready to start working. New users, simply click the "Activate…" button to launch Red Giant Link, and sign in to authorize the machine or start a trial. You are now good to go and all set to enjoy Red Giant Universe 3.0! Red Pledge is Red Giant commitment to customer happiness, with no purchasing hassles. Learn about the Red Pledge guarantee at http://www.redgiant.com/redpledge/. Red Giant is a software company made up of talented artists and technologists who collaborate to create unique tools for filmmakers, editors, VFX artists, and motion designers. Our company culture is focused on finding balance between work and life - we call it "the double bottom line" - this philosophy helps us ignore complexity in favor of building simple tools that yield giant results. Over the last decade, our products (like Magic Bullet, Trapcode, Universe and PluralEyes) have become the standard in film and broadcast post-production. With over 200,000 users, it's nearly impossible to watch 20 minutes of TV without seeing our software in use. From our experiences as artists and filmmakers, we aspire to not only provide tools for artists, but inspiration as well. Watch our films, learn from over 200 free tutorials, or try our software at http://www.redgiant.com. Florence + The Machine Debut New Songs "Moderation" And "Haunted House"
Fletcher Releases Her Provocative New Single, "Undrunk"
Singer/Songwriter Piper Hays Releases Music Video For Cover Of "I'd Love To Change The World"